Arts In Action » Of Land and Local and Really Great Art! Of Land and Local and Really Great Art! Most of my summers, since graduating from Goddard College in 2011, I have had the opportunity to connect with my residency buddies. Sometimes the reunion occurs in Asheville, NC. Sometimes it is just a solo visit with one of my artist friends at my home, or at theirs. I try to reconnect each year with as many of the inspirational folks who endured the three-year venture with me as we all delved further into our art disciplines of choice. Although I may have complained about the workload, the seemingly never ending reading, writing, photography and painting assignments, I miss those days of exploration and introspection. I miss the 10 day-long residencies, where it was common place to discuss 20th Century painters over freshly grown and prepared kale side dishes, where one listened intently to the details of someone’s latest visit to MOMA, or a funny story that happened at an opera rehearsal around a campfire late at night. This week, I was able to connect with one of my talented graduate school buddies who resides in Vermont, but vacations on the shore in New Jersey. We text and Skype and talk regularly throughout the year, but a face to face visit means that our girls play close-by as we catch each other up on all the latest details. 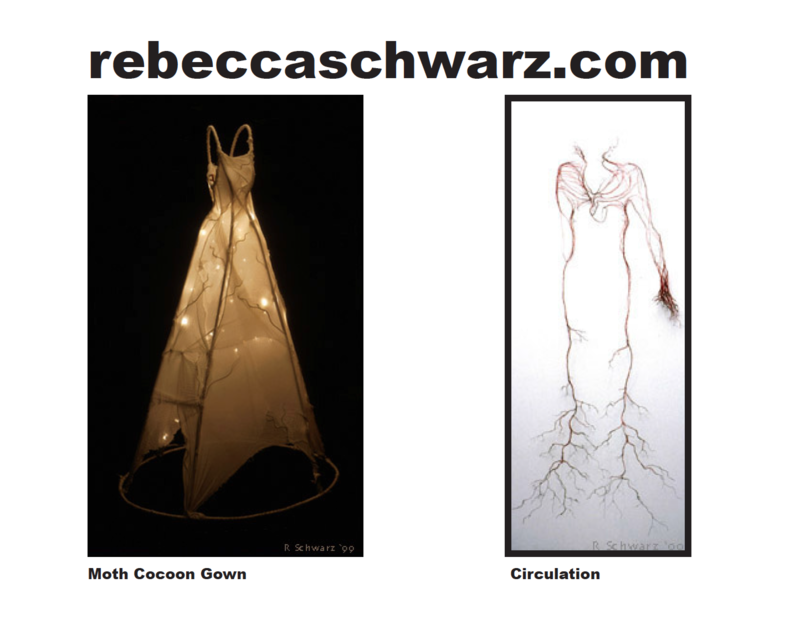 My friend’s name is Rebecca Schwarz, and everyone should take note of it. Rebecca is the perfect combo of talent, intellect and modesty. She told me of this residency project that she was participating in via Burlington City Arts (BCA). Rebecca’s BCA residency took place on a beautiful piece of land called Button Bay State Park in Vermont, where on August 7-9, and August 14-16, from 2-7 p.m. she conducted two open studio weekends at their Nature Center. 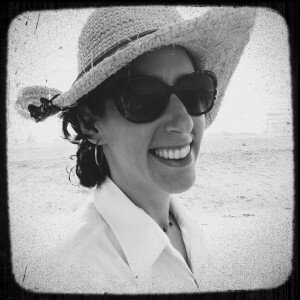 She will now create an installation that will be exhibited at Shelburne Farms that opens with a gallery reception to the public on October 1, 2015. Rebecca’s sculpture will embody visions and revisions of the land, and dreams, nightmares and questions of the Earth. The materials she will use come from discarded things we have on hand collectively and individually: plastics, trash, packaging, and other discarded and found materials. It was not until I researched the event links for this residency that I realized, Rebecca is kind of a big deal! Often, throughout my own career, I have been told that I do not do enough to market and advertise my artwork. I have noticed this about many of my talented artist friends. I can remember my buddies back in Florida, Christy, Kim, Sarah and Kathleen, traveling with me to outdoor shows and talking to potential customers, telling stories and “selling” my work. They did this way better than me. That’s the kind of genuine and effective PR you just can’t buy! Some of my interest in supporting Rebecca comes from the theories and cultural investigation that I examined in graduate school about equal opportunities for women, (especially mothers) who are artists. This Wednesday, August 26th marks the 95th anniversary of the 1920 passage of the 19th Amendment to the U.S. Constitution, granting women the right to vote. Without firing a shot, throwing a rock, or issuing a personal threat, women accomplished political power through the most peaceful of means. It was a relentless 72-year battle with tons of sacrifice, and still remains the most remarkable and successful civil rights effort to date. Equal opportunity and equal pay is still absent from the professional art world. Things are slowly improving, but not fast enough in my opinion. You better believe that I am going to attend Rebecca’s gallery opening in October and cheer her on as she experiences major accolades for this professional accomplishment. I am going to make sure that all my contacts know about this event and have the chance to support it. I will be happy to observe Rebecca easing into the idea that her artwork, her messaging for the planet and her community work is kind of a big deal, and raise the first glass of red wine to this triumph, won’t you join me? Please enter your email address to follow this blog.